XUNZHE 950S adopts excellent MLC flash technology, exceptional performance offering up to 550MB/s read and 500MB/s write speeds, allowing you to enjoy super fast OS boot and application load. 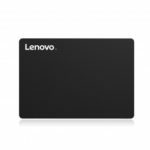 With no moving part, this SATA 3.0 SSD runs silently and provides low power consumption and high reliability. Premium aluminum alloy shell added sturdiness and durability. Adopts MLC flash technology, providing higher storage density and capacity, reliability and durability to the next level. 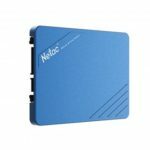 Exceptional performance offering up to 550MB/s read and 500MB/s write speeds. Not having any moving parts, SATA 3.0 SSD provides lower power requirements, faster data access and higher reliability. SMI chip adopted with four channel design, ensures high efficiency and fluent speed. 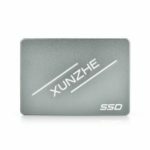 With XUNZHE SSD, you will feel the difference with super fast OS boot times and application loads. Perfect choice for upgrading your laptop or desktop computer with ASTA port. Compatible with Windows 7/10/XP, etc. Crated from premium aluminum alloy, long-lasting and durable to use.